60 red, green, blue and yellow comets will make a funny noise as the zig-zag around the sky! Hilarious effect. 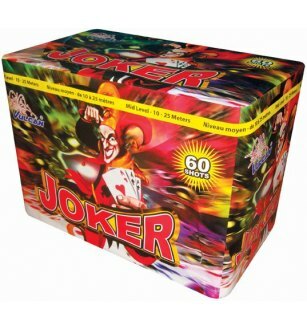 watch Joker firework in action!